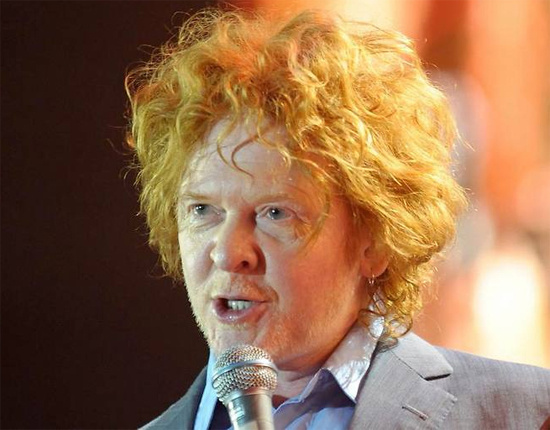 As Sir Mick Hucknall prepares to retire the Simply Red name, he's also putting little Mick into the rest home of his y-fronts. In an in an interview with The Guardian, to be printed tomorrow, the strawberry blond soul man says, "I regret the philandering. In fact, can I issue a public apology through the Guardian? They know who they are, and I'm truly sorry." Hucknall says that "a red-headed man is not generally considered to be a sexual icon." Which is perhaps why, when he was flogging tonnes of records in the late 80s, he behaved like a kid in a sweet shop: "When I had the fame, it went crazy," admits to the paper. "Between 19851987, I would sleep with about three women a day, every day. I never said no. This was what I wanted from being a pop star. I was living the dream and my only regret is that I hurt some really good girls." Like a good boy well versed in Freud, Hucknall blames his ma: "I wanted love from every single woman on the planet because I didn't have my mother's love. It was an addiction that took me to my darker period from 1996 to 2001, when I really came close to the gutter – I was more into drinking than seducing."